Slightly more than half of Macau’s approximately 20.5 million mainland Chinese visitors in 2016 were people visiting more than once in that calendar year, according to information in a new 215-page report from brokerage Sanford C. Bernstein Ltd on the Macau casino market. The number of one-time annual or “unique” visitors from the mainland in 2016 was approximately 10 million, representing approximately 49 percent of all such mainland Chinese visitors in the calendar year, stated the institution in a summary of the report. “We estimate that of the 20.5 million [mainland] Chinese visitors, approximately 10 million were unique visitors,” said the authors, analysts Vitaly Umansky, Zhen Gong and Yang Xie. “As such, we estimate that unique visitor penetration of the addressable market in China is slightly above circa 3 percent. This compares to a penetration of approximately 25 percent in the U.S. gaming market and a circa 30 percent penetration of the Hong Kong feeder market (into Macau),” they added. Research by other organisations has previously indicated that not all tourists to Macau identify themselves as being gamblers. A survey published in October last year by the IFT Tourism Research Centre (ITRC) at the city’s Institute for Tourism Studies, indicated only about 26 percent of visitors to Macau responding to the study’s researchers, admitted to having gambled at the city’s casinos during their most recent trip. The Macau market penetration rates and figures on unique visitor numbers quoted by Sanford Bernstein in its latest in-depth report were said to be based on data from, respectively, Macau’s Statistics and Census Service; Euromonitor; Wind Information Co Ltd, a Shanghai, China-based financial data services firm; and Bernstein analysis and estimates. The brokerage estimated Macau’s 2016 unique visitor penetration rate for Guangdong, the mainland Chinese province next door to Macau, was 9.8 percent. 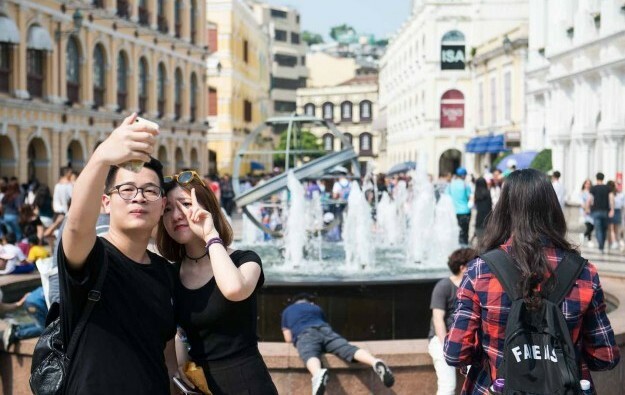 According to data released in January this year by the Macao Government Tourism Office (MGTO), of the more than 20 million visitors from mainland China last year, approximately 44 percent of them came from Guangdong province. Total visitor arrivals to Macau increased 0.8 percent year-on-year to 30.95 million in 2016, with the aggregate annual number of overnight visitors exceeding same-day visitors for the first time in 10 years, said MGTO in January. “The overnight growth rebound Macau has been experiencing since spring 2016 is partly due to increased hotel room availability and lower hotel room costs,” suggested Sanford Bernstein in its report summary. 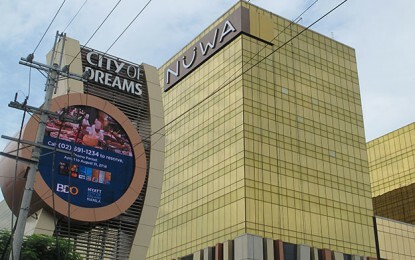 “Continued supply expansion (both casinos and non-gaming offerings, including hotel rooms) in Macau, and later in Hengqin, will help sustain overnight visitation growth trends,” the brokerage added, referring to Hengqin Island, a piece of mainland territory next door to Macau that is being developed with a range of non-gaming facilities designed to be complementary to Macau’s gaming tourism focus. “There are now nearly 36,000 hotel rooms in Macau and hotel room availability is often limited on weekends and holidays (the peak travel periods), with hotel occupancy rates generally circa 95 percent or higher during many of these times. However, Macau’s hotel room inventory is increasing by nearly circa 6,400 between 2016 and 2018 (9 percent compound annual growth rate, 28 percent cumulative increase),” added the institution. The brokerage additionally noted that Macau’s gaming market is transitioning “from a high-rolling VIP-focused market to a mass-focused market”. The Sanford Bernstein team expects the city’s VIP segment to “continue to face structural headwinds from a tightening regulatory environment in Macau and a continued focus on capital outflows in [mainland] China”. “While VIP shall never likely return to its historical glory, mass has long-term growth potential that can continue with the growth in supply that is coming to Cotai,” said the analysts. The brokerage estimates that Macau’s mass-market will have a compound annual growth rate of 11 percent between 2016 and 2020.